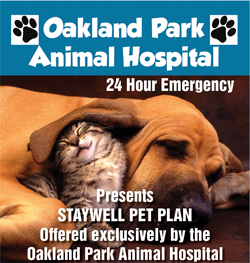 As your Oakland Park vet, we are passionate about education concerning pet health. We know how overwhelming it can be to get a new puppy or kitten, and how confusing it can be to have so much information thrown at you about the right and wrong way to care for your pet. We have gathered some helpful tips for taking care of your new companion below – hopefully they will make your role as a new pet parent just a little easier! 1. Make an appointment with your veterinarian. It can be tempting to only see your veterinarian when you have to. You want to save money, and most of the time puppies and kittens are fun and easy – just feed them and love them! But if you want to be a good owner, you need to see your vet. We will examine your puppy or kitten to make sure he or she is healthy, and we will advise you on what steps you need to take to maintain that health. 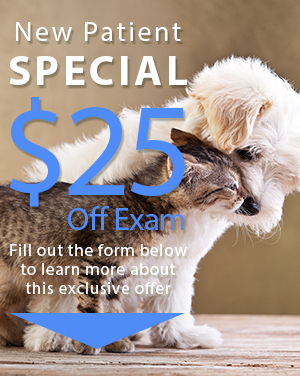 An exam and vaccinations are the bare minimum for caring for your pet. 2. Get your supplies in order. Your puppy or kitten will need some supplies, including a pet carrier, bowls for food and water, pet food, toys, bedding, a collar, a leash (mostly for dogs, although some people train their cat to walk on a leash too! ), nail clippers and more. These are things that every owner should have available to care for their pet. 3. Make sure you vaccinate your pet. There are a variety of diseases that can make your puppy or kitten very sick, and possibly lead to death. Fortunately, modern vaccinations make avoiding these diseases extremely easy. Your veterinarian will let you know what vaccinations are a necessity, which are optional, and when to get each one. Besides feeding your pet, there are few things more important for you to take care of as an owner. Get your pet vaccinated. 4. Play, walk and provide stimulation for your puppy or kitten. Puppies and kittens love to play, and one of the best ways for you to bond with your pet is to participate. Play provides mental stimulation that is necessary for healthy development, so take time each day to play with your pet. And when your puppy is old enough to walk, make sure to walk him or her. A walk each day is good for your puppy, good for you and one of the best ways to prevent destructive behaviors. Talk to your veterinarian about microchipping your puppy or kitten. Pet microchips are about the size of a grain of rice, and they ensure that your pet is easy to identify by veterinarians, shelters and anyone else with a microchip reader. Please call us today at (954) 731-4228 to schedule an appointment for your puppy or kitten. We are excited to meet the newest member of your family!